Recently, I got two really awesome products to review. I have racked my brain on how to review these products separately, but cannot find a good way. So, I decided to combined them and share a recipe that everyone could use. First though, let me tell you a little about the products. 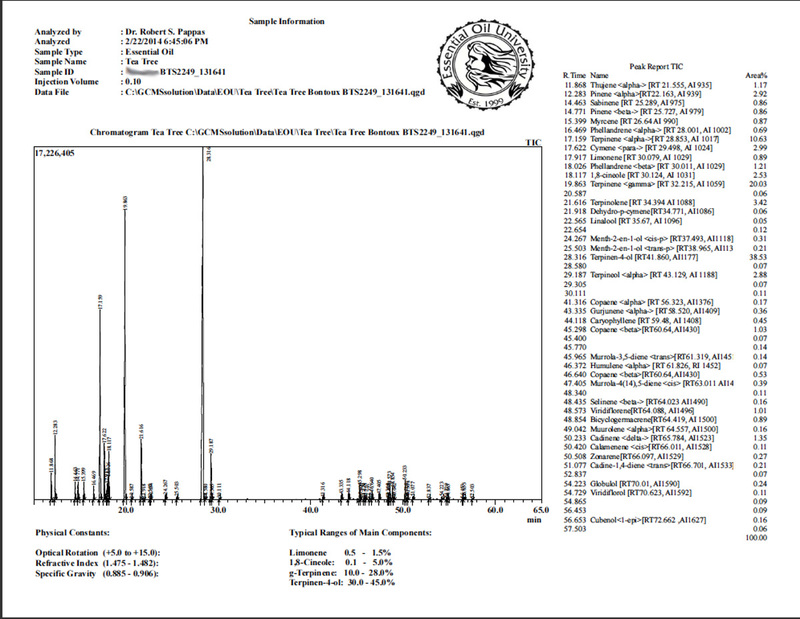 Tea Tree oil comes from the Melaleuca alternifolia or the melaleuca tree or tea tree. These are bushy trees that grow in Australia. The oil has many uses, I know I’ve used it a lot for cloth diapers and for my dog’s skin condition. You have to be very careful because tea tree oil can be toxic if taken orally. 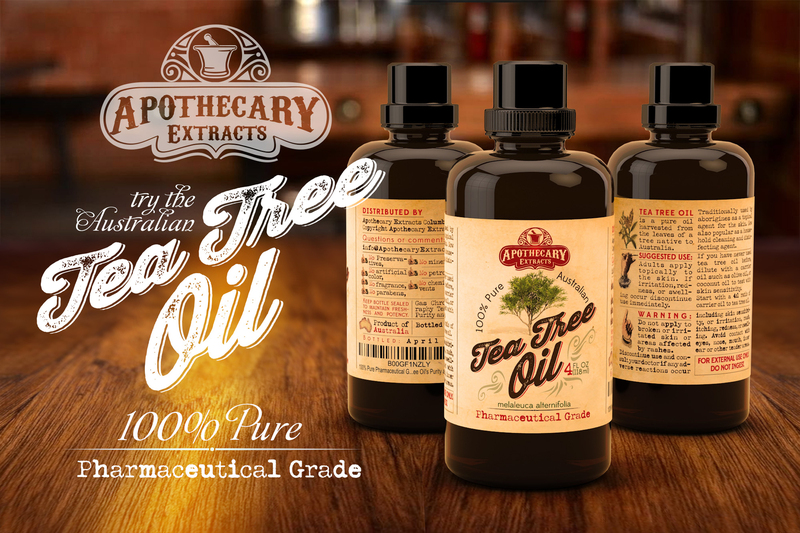 Apothecary Extracts has gone above and beyond to make sure you are getting 100% pure tea tree oil at pharmaceutical grade. They have had the oil tested by an independent lab so they know you are only getting the best. 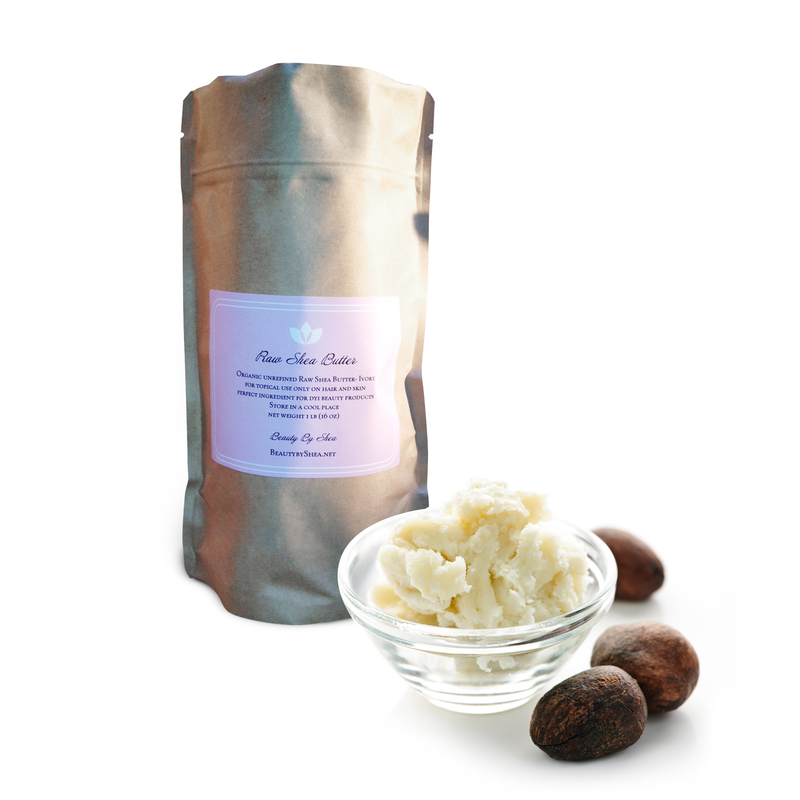 Shea butter comes from a nut that grows on the Karite tree in Africa. There are many benefits to your skin and hair since it contains so many vitamins. The raw organic ivory shea butter that is sold by Beauty By Shea on Amazon, is a fair trade product that comes from Ghana. It is doubled filtered, once in Ghana and once here in the US so they can make sure you get the finest product available. Beauty By Shea is also letting me giveaway one pound of raw organic ivory shea butter. You can find the giveaway widget below the recipe. 1. Get your kitchen scale out and measure out 2oz of shea butter. 2. Put in a mixing bowl and add 10-15 drops of tea tree oil. 4. Using an electric mixer, mix for 2-3 minutes or until well blended. 5. Spoon into a jar and you are done! Just remember when using this, that a little goes a LONG way, so, don’t put a huge glob on your face. Overall, I have really enjoyed both products from Beauty by Shea and Apothecary extracts. You can find them both on Amazon at the links listed below. I received one or more of the products mentioned above for free using Tomoson.com. Regardless, I only recommend products or services I use personally and believe will be good for my readers.I received one or more of the products mentioned above for free using Tomoson.com. Regardless, I only recommend products or services I use personally and believe will be good for my readers. 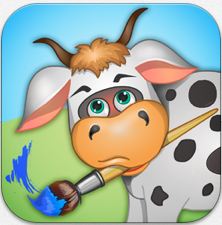 Meet Lulu and Painting with Lulu is a brand new concept where an app goes along with a physical coloring book. I love this because Goose can play with the same coloring book both at home and while we are on the road and crayons would be too hard to keep up with. The coloring book comes with your child’s very own crayon shaped stylus. It works great with the app, and is very easy for the child to hold. The app is very easy to use it. You can search for a page you want by clicking on the Meet Lulu icon, or you can scan a QR code that is found on each page and the app will take you to that page. The app is also able to connect to your Facebook account, so images your child creates, can be shared with your family and friends. Over all I love this app, and I can’t wait to see some more from Lulu and her friends. 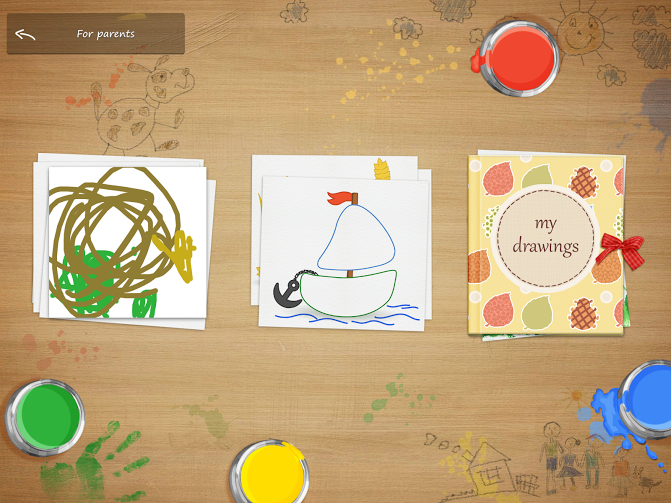 Painting with Lulu is available in the AppStore/Google Play/Amazon Appstore. 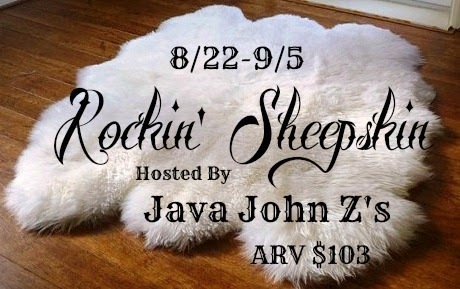 It’s free (as of 8/15/14) so go check it out. The coloring book “Meet Lulu” can be found on Amazon for $9.99 + shipping and handling if you are not a Prime member (as of 8/15/14), the coloring book features 32 coloring pages and the stylus. Over all a pretty good deal. One thing I absolutely hate is all the chemicals hidden in every day products that we use in our home. I was reading a post from a mom last week of a baby who got into the Tide pods, he stopped breathing, and had to be rushed to the hospital and put on a ventilator (https://www.facebook.com/KellyBear17/posts/10203196465884796)! This is not the only report of this either. When googling “Tide Pods child” the first thing that popped up was “tide pods child DEATH”. Scary right? I’ve even reviewed a product from Purex like the Tide Pods, and I had no clue what all the dangers where associated with them were. I always make sure products are put out of reach of Goose, but there is always that “what if”. Like what if she got into them while we were shopping or while I was putting groceries away. Then there is also the effect on the environment that I worry about as well. That is why I’ve started switching more of our house hold products over to all natural non-toxic options. I’ve had a hard time finding a laundry detergent that I really like and got the clothes clean. I personally had not tried soap nuts before for a few of reasons. 1) The regular soap nuts, have to be placed in a bag in the wash. I tend to forget to put things like that back into the washer when the load is done. 2) You have to count how many washes you do with regular soap nuts. And 3) I had no clue what soap nuts where. Doing some research on Google (and on the back of the bottle once I received my soap nuts) , I was able to eliminate one of my concerns. I found that soap nuts come from the Chinese Soap Berry Tree. The berries that grow on this tree contain a natural chemical called saponin, which is a natural soap. Green Virgin Products has come up with a solution that eliminated the other two reasons why I had not tried them. They have a liquid version of soap nuts, so, there is no bag or counting required! Awesome right!? I, personally, loved was how little of the soap nuts liquid you have to use. If you have an HE front loading washing machine, all you need of the soap nuts is two pumps. If you have a top loading machine, you will need a little more. I used 3-5 pumps, and it worked great. The price of Green Virgin Products Soap Nuts Liquid is $18.95 for an 8oz bottle. Now, that might sound like a lot but each bottle does 120 HE loads! So that works out to about $0.16 per load. Not bad if you ask me. Another thing I loved was that I didn’t have to use any fabric softener. Not really sure why it caused the clothes to be super soft. I think it would still be ok to use the wool dryer balls, but I would stay away from liquid fabric softener and/or dryer sheets. They are definitely not needed here. There were a few things, however, that I found either a little annoying, or just didn’t like. First, when you are putting the pump on the bottle, it will take a little time and quite a bit of pressure on the top of it. I was really afraid I was going to spill it everywhere, and yes I tried to screw it on, but it seemed like the pump was just a tad smaller than the opening of the bottle; not sure if that is normal or not for this product. Next, if you drip any, it becomes super sticky on the bottle and what ever it gets on, so make a habit of whipping the pump after each use. Lastly, I wish it smelled a little better. Not really much I can change there, just a wish. Over all I really liked the soap nuts liquid from Green Virgin Products. The product cleaned my family’s clothes just like any other toxic brand detergent would. 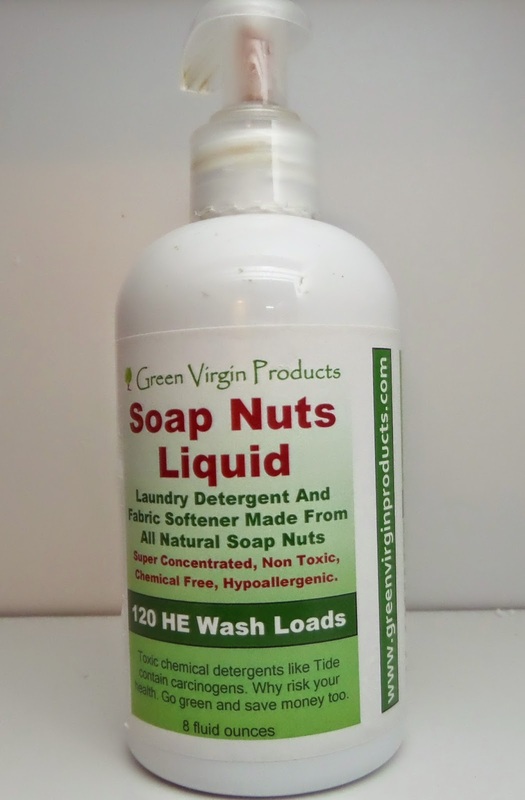 If you are thinking about trying soap nuts, I would recommend you check out Green Virgin Products and pick up a sample size (only does six loads) or an 8oz bottle to try out. While you are there, check out their other awesome non-toxic products they have available. Yes, I know I will be 30 in a little more than a month, but I’ve joined the pre-teen/teen craze of rubber band bracelets!! I’ve personally tried several different loom kits from pretty expensive ones to really really cheep looms. My favorite thus far is the Rainbow Bandz Loom kit. The Rainbow Bandz Loom kit comes with pretty much the standard equipment; 1 adjustable loom, a hook, a mini loom, and a starter pack of rubber bands. I love the adjustable loom, it makes it so much easier to make bracelets like the hexafish, flexafish, the totem pole bracelet, and more. The bands are awesome too. They are very consistent in size, shape, and thickness. They take a little longer to stretch out, but I rarely have one break. I also love they are latex free and made from organic silicone. since I am allergic to latex. Here is a little video I made of the French Braid Bracelet. The only problem I found with the Rainbow Bandz Loom Kit was the hook. I’ve had two of them and broke them both. I was doing really advanced designs with it, and I probably put too much stress on it. If you plan on making anything where the bands are going to be really tight, I would suggest getting a metal hook. Over all, I really like the Rainbow Bandz Loom Kit and Bands. I’ve even got the refill pack of the bands for my loom. I am really looking forward to more rubber band loom products from Rainbow Bandz. If you are interested in purchasing a Rainbow Bandz Loom kit and/or bands, you can purchase them on Amazon. The loom kit is (as of 7/15/14) currently $9.99 (prime), and the refill pack of 5400 bands is only (as of 7/15/14) $19.98 (prime). Over the years, I have really started be coming aware of all the things we throw in the trash. Though a lot of things like plastic bottles and printer paper are petty straight forward about how to recycle, other things -toothbrushes- are a little trickier. When you really think about it, what is in a regular tooth brush? You have the nylon bristles, the staple that holds the bristles in, and the plastic handle. How in the world would you separate all of that for recycling. From my research (http://www.earth911.com/living/health/recycling-toothbrushes-and-toothpaste-tubes/), I found out that to recycle toothbrushes, all of those components must be separated before processing. Seems like a lot of work to me. WooBamboo has really come up with a wonderful solution to this; create a toothbrush that is both earth friendly and dentist approved. The handles are what make these toothbrushes so special. They created these beautiful handles from moso bamboo, a naturally occurring bamboo that pandas do not eat. The handles are also naturally antimicrobial, so you don’t have to worry about yucky germs growing in your or you little one’s toothbrush. Best of all though is, when it’s time to replace your toothbrush, you can compost the handle or throw it in the trash knowing it will decompose. What abut the bristles. No, they are not bio-degradable, they are actually made from Dupont Tynex nylon. That can be recycled, so if you want to take apart your toothbrush, you can recycle the bristles. Now you may ask yourself why WooBamboo did not use biodegradable bristles. It states on their website that they tried out the biodegradable in their lab, and they found that the ones currently on the market started decomposing after only a week of using them or didn’t decompose at all. So the only other option from there was boar hair, and honestly, who wants to put that in their mouth. Overall, I really like these toothbrushes. They work really well, and are great for the environment too. If you would like to purchase a kids or adult toothbrush from WooBamboo, you can check out their website for a list of retailers (http://www.woobamboo.com/getwoo/). I have also seen them on Amazon, if you feel more comfortable buying them that way. As you can see Goose really enjoys her WooBamboo toothbrush. 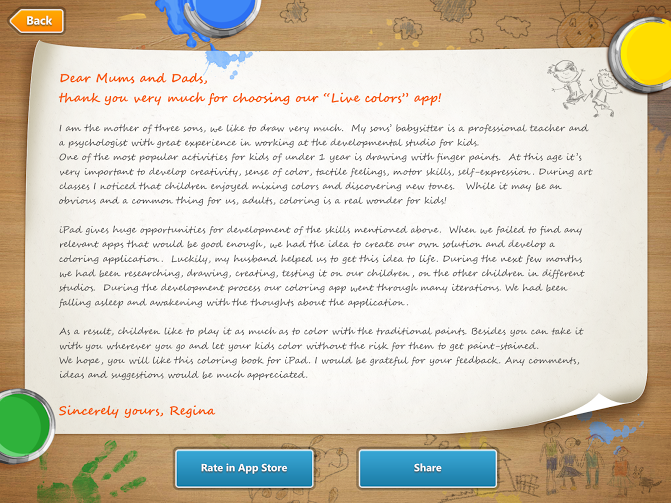 If you have a little one who loves drawing and coloring apps, then your little one will probably love this app. 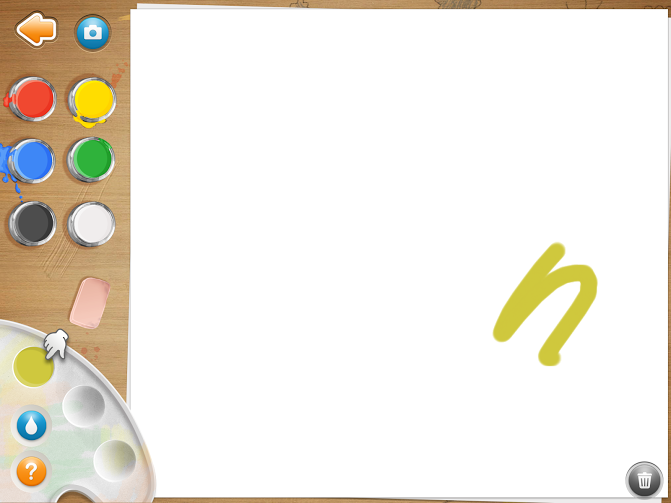 Live Colors for Kids, is a drawing and coloring app that was created for children 5 and under. With two different modes ( free draw and coloring book) your toddler and preschoolers will never be bored. One this that I really like about the app is the coloring book mode. 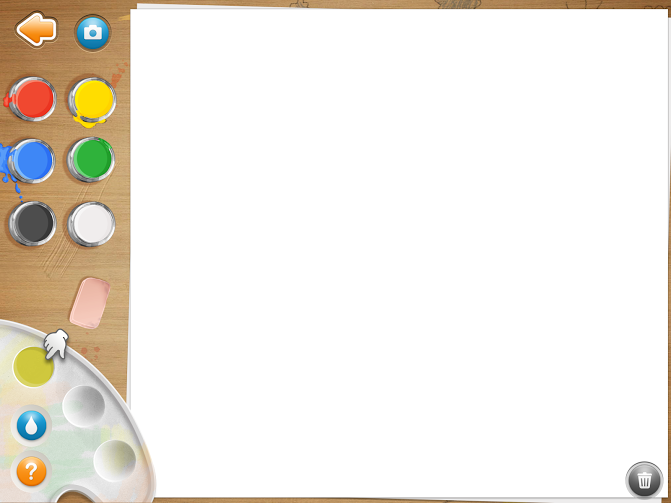 As you color that is really cute animations going on subtlety going on in the back ground. It also saves your child’s work until you erase the page, so if your kiddo has limited iPad/iPhone time, they can pick up where the left off later. As you can see in the image below, Goose has been having a blast with this app. Another part of the app I like is the ability to mix colors. My daughter loves to mix paints and playdough colors in “real” life, and when I first saw the color mixing feature, I knew she would love it. It really easy to do it. All you have to do is drag the color you want down to the palette and then drag your mixing color down to the same circle. Presto! You have a whole new color you can draw and play with. It really teaches how mixing some colors create beautiful new colors. This is one thing that I sort of don’t like. There is only one paint brush, your finger. I kind of wish you could switch between crayons and paintbrushes. 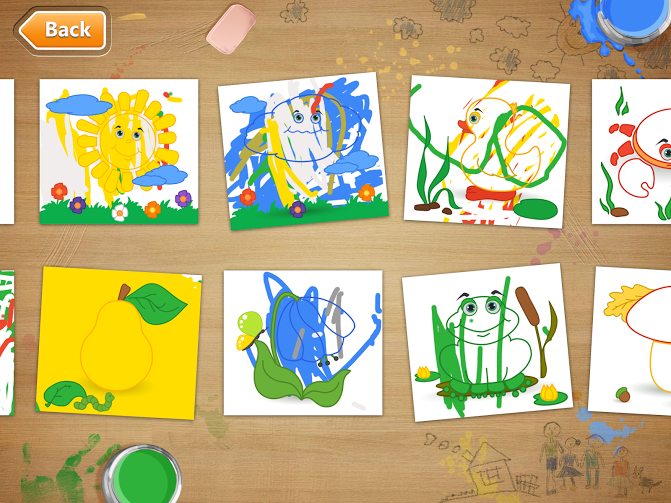 But I understand why the developers made it this way; the app is supposed to simulate finger painting. Overall, Goose and I really like Live Colors for Kids. I love that the app shows that you can have fun while learning, and she loves that the app is really easy to use. 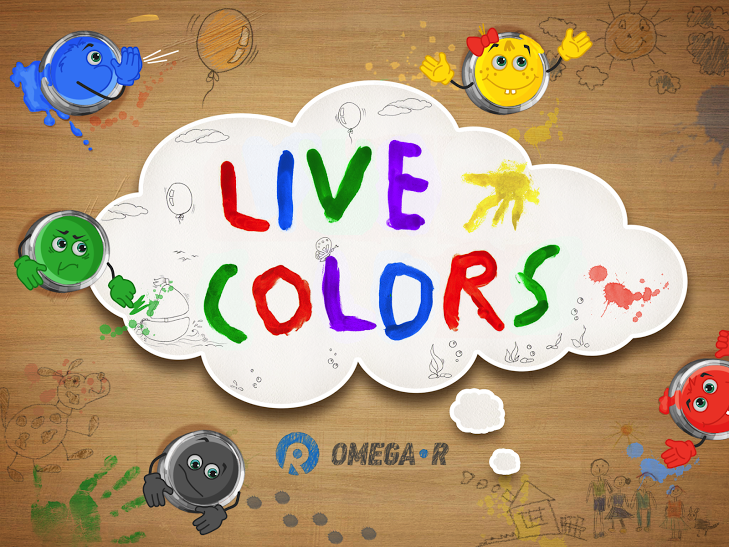 If you are interested in getting Live Colors for Kids for your iPhone, iPod touch, or iPad, you can check out this link https://itunes.apple.com/us/app/live-colors-for-kids/id681064486?mt=8 or http://liveappsforkids.com/, it costs 99¢, but I think it is well worth the cost. Even non-contact sports can be hard on your teeth. The stress of these sports can cause you to tighten your jaw and clinch and grind your teeth. ArmourBite® has come up with a solution that is really easy to use and mold at home. What is non-contact sports you may ask yourself. A non-contact sport has been defined as any sport where you have little to no contact with the other players. So sports like tennis, track, golf, and many others will fit into this category. I personally find myself grinding my teeth and clinch my jaw when I am doing things like mowing the yard; I guess it’s because I hate to mow so much, but I’ve found that the ArmourBite® mouthpiece has really helped. To mold the ArmourBite® mouthpiece was really simple too. I just put the mouthpiece in boiling water, took it out, let it cool for a few seconds, and then popped it into my mouth. After letting it set for a little while in my mouth, I took it out and let it set and cool for about an hour. Then it was ready to use. ArmourBite® also makes these mouthpieces in two sizes. Youth for people with small mouths or 11 and younger. The adult size is for people 12 and up. If you would like to purchase your very own ArmourBite® mouthpiece, here is a link http://store.bitetech.com/armourbite-mouthpiece-p3.aspx. I also saw them on Amazon. You can try and win one, by entering on the form below anytime between now and June 28th, 2014. 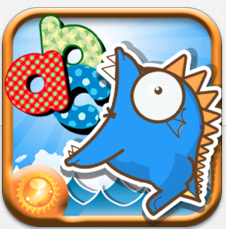 Alphabet Jumbled is an app for iPhone (5 only), iPod, and iPad that makes learning fun for toddlers and preschoolers. Alphabet Jumbled offers 5 different levels and opportunities to learn; Know Your ABC’s, ABC Flash Cards, Easy Jumble, Jumble A-Z, and Jumble Challenge. Know Your ABC’s is the easiest level, and the best place to start. You can view the letters in lower and upper case, and hear the phonics of each letter as it plays. Another easy level is the Flash Cards. Each card can be displayed in upper case and lower case letters, and feature easy to figure out pictures. The Easy Jumble level is a little more complicated. The child is given 5 letters that are jumbled, and will have to put them in order. The Jumble A-Z level is one that Goose has yet to figure out. In this level you are given the entire alphabet, but the 26 letters are jumbled which needs to be placed in order. There is a timer in the upper right corner, and the child can challenge himself to put them in order beating his previous times. Jumble Challenge is the hardest. You not only have to beat the clock, but you have a fish that jumps up and bites time off your clock. Every time you pass a level in the Jumble Challenge, you are given a new level, that has more letters to put in order. Over the years since webcams became standard on laptops, I have been hearing a lot of about computers being hacked and webcams being activated, or webcam spying. One report was even that a school was remotely activating the webcams of their students to check up on them. In my mind, that is no way ok.
I’ve wondered in the past what I could do to protect myself and my family from this kind of attack. In theory a good firewall “should” protect exploiting through your capture devices (such as your webcam, your microphone, and keyboard), but what happens if that fails? What was recommended to me by a network security professional, is to use defense in depth. Instead of relying solely on a firewall or turning off the firewall you should implement multiple practices to prevent your webcam from being exploited. For webcams, the best defense is to cover your webcam. I’ve known people in the past who just put a piece of tape over the webcam on their laptop. But I think that could be rather annoying and looks kind of tacky. And it makes it difficult to use the webcam on your computer, since you have to reapply the tape every time, and it leaves a sticky residue behind. Recently, I was made aware that some companies are making covers for webcams that can easily slide or lift open. C-Slide is one such company. I really like to C-Slide because you only have to apply it once. 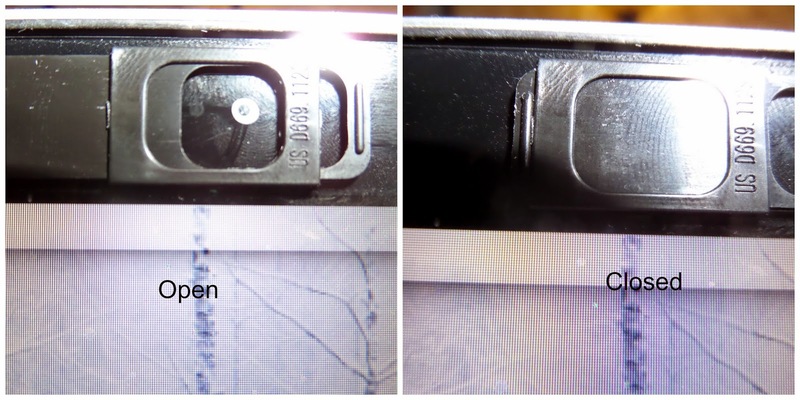 On the back of the C-Slide, there is two very thin strips of double stick tape. So if you decide to take it off for some reason, there won’t be a HUGE sticky mess. Another thing that I like about the C-Slide is that is made out of thin, yet durable, plastic. At 1.5mm thick, you know that it won’t get in the way of your computer closing and latching closed. Opening and closing the C-slide is easy too. Since it is so thin, it doesn’t take much just to move the little piece of plastic over. Over all, I really like to C-slide, and I believe that it would be a great addition to your digital security practices. If you would like to purchase a C-Slide for your computer, just click this link http://www.c-slide.com/product-page/, scroll down a bit, and shop away.